Can you think of a better grade to teach than 5th grade? Mrs. Flink can't. She loves teaching 5th grade and is glad to be at Renaissance Academy. 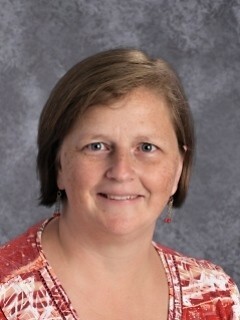 Mrs. Flink's teaching career started when she graduated from UVU in the early 2000's. She first started teaching in Granite school district. After having a crazy first year teaching she decided to take a break and help her new husband run his own business. When this did not prove to be enough of an adventure for her, she became a flight attendant and flew around the United States, Mexico, and Canada. She loved seeing the country and getting to know the different cultures, attitudes, and beliefs that exist in the United States. In 2008, Mrs. Flink welcomed her two son's into her family and decided that it was time to be grounded for a while and get back into teaching. She then started at Guadalupe School in downtown SLC where she was the reading specialist and then their first 5th grade teacher ever. After working there for several years she decided to once again take a hiatus from teaching while she cared for her mother and father. With their passing came new challenges and the end of the hiatus. She couldn't wait to get back into the classroom. This is the fifth year that Mrs. Flink has taught 5th grade and she loves every minute of it. She believes that it is possible for students to achieve what ever they set their mind to and is there to help them reach their goals. School is a place for learning, growing, and realizing that everyone makes mistakes. It is what you do after a mistake has been made that makes all the difference. Do you find out how to fix it and learn from it, or do you say, oh well I just don't care? Learning and growing is what Mrs. Flink feels life is all about. As Thomas Edison once said "I have not failed 1000 times; I have found 1000 ways that do not work" This is the attitude we need to have when learning or trying something new. We may fail but it isn't really a failure, it is just finding a way that doesn't work. Mrs. Flink strives everyday to help her students realize that they might fail at something but it isn't the end, it is only the beginning of trying again.